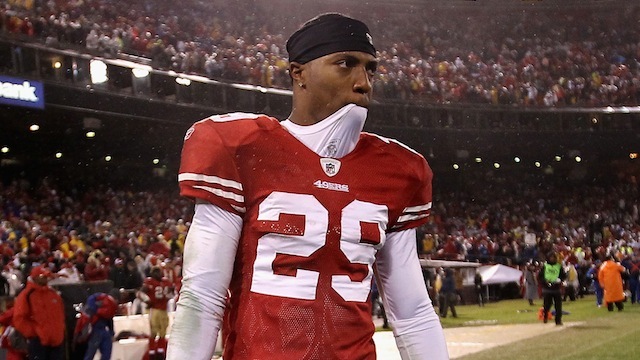 Under pressure, Culliver offered a half-assed apology that satisfied no one. 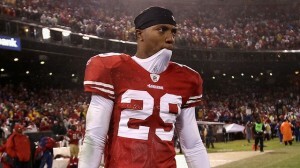 The NFL must take swift action and suspend Culliver for the first two games without pay next season. By doing so, they will send a strong signal to players that homophobia is unacceptable in the league. There are some who believe that he should be suspended for the Super Bowl. I believe that this would be a mistake, because it would punish the entire team — the first one to make an “It Get’s Better” video — during the most important game of the players’ careers. Suspending Culliver at the beginning of next season would send a message, without potentially altering the outcome of a game on the worldwide stage. However, it is critical that the NFL take action immediately and exact a price for such rank bigotry. If the NFL simply winks and nods, it will have such distracting and unacceptable flareups over-and-over-again. For more on this topic, see what Michelangelo Signorile has to say, as well as John Aravosis.